The OECD has a lot to say about where the country is headed in its latest survey. LAST WEEK THE government was hailing a set of “extremely positive” figures as the country’s economic growth rate continued to power ahead. But in case anyone was about to get too carried away with the news, the world’s main economic think-tank has delivered its verdict on the shocks that could again rock Ireland’s finances. In its latest economic survey for the country, the OECD made a lot of positive noises about the way the country was headed. “Determined policy efforts have boosted confidence and underpinned the robust, broad-based recovery now underway in Ireland,” the report said. Unemployment had been falling, the budget deficit was closing and public debt was also on the decline, all “propitious circumstances” that offered the chance to “resolve the legacies of the crisis” like still-high unemployment and bank system weakness. “The world economy may experience lower trend growth over the medium term that would affect Ireland strongly given its openness in trade and financial transactions,” the OECD noted. While the US has been powering ahead, China has been showing major cracks and there is a risk Ireland’s post-crash legacies of high joblessness, high debt and mortgage arrears will cause the economy to stagnate if its trading partners also stall. While property costs are still well off the peak of the Celtic Tiger property bubble, the OECD points to sharp rises in both residential and commercial prices since the trough. There remained a danger that the rapid re-inflation, with prices up nearly 10% over the past 12 months, would trigger another “reinforcing spiral” of higher prices and credit lending that eventually led to more bloodletting from the banks. Ireland’s famously low corporate tax rate of 12.5% isn’t up for negotiation, according to the government, but that may not stop powerful EU member states like Germany and France pushing for changes. The European bloc has been moving towards a common tax base, while the OECD has been driving its own anti-”profit shifting” measures to cut down on the types of aggressive tax planning that have enabled tech giants like Google and Apple to pay low single-digit rates on profits routed through Ireland. Those incentives have been credited with helping to build the modern Irish economy and the report said major international treaty changes could “have a significant economy-wide impact” for the country. 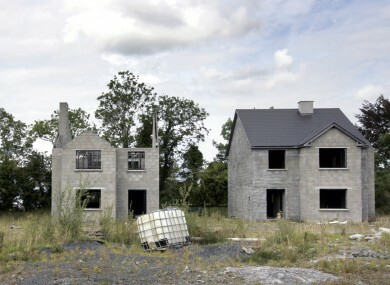 While there have been “institutional improvements in the euro area”, the OECD noted that a reemergence of the region’s banking and debt crisis could be trouble for Ireland. Greece, with its colossal bailout debts, is the obvious flashpoint here, but Spain, Portugal and Italy are all susceptible with high unemployment and massive borrowings when compared to GDP. This one has been filed in the ‘who knows’ basket, with the prospects of the UK leaving the EU – a so-called Brexit – presenting both “opportunities and challenges”, according to the OECD. The think-tank noted trade and investment links, particularly for labour-intensive Irish export industries, were “very strong”. A recent study by UK-based OpenEurope.org claimed a Brexit could shave more than 3% off Irish GDP by 2030. The bright spot, as noted by groups including Ireland’s NTMA, could come with a boost to industries like the financial sector as more businesses set up in Ireland as an English-speaking gateway to the EU. Email “These are 5 things that could wreck Ireland's economy all over again”. Feedback on “These are 5 things that could wreck Ireland's economy all over again”.